It's been a while, and I've missed participating in Weekly Winners lately. This week I'm sharing my favorite food pictures of this past week. ... a little appetizer salad with beetroot, apple and herring. Filo pastry with goat's cheese and pistachio nuts. ... and the first strawberries of the season, yummie! Weekly Winners is hosted by Lotus at I am Lotus. It's all about publishing your favorite photos of the week that has passed. Check it out! Friday's Fave Five, Spring is really Here! It's THAT time of the week again, it's Friday. Time to look back upon the week that has passed and share some of its highlights. Time to join Friday's Fave Five, hosted by Susanne at Living to Tell the Story. 1. Eating outside. Yes!!!! The weather has been really extraordinary this week. We've been able to eat outside this whole week, I don't think we've ever done this so early in the year! I think this should be mentioned in Jientje's book of world records! 2. Cooking session with my friend Annie. Three or four times a year my friend Annie and I try to find some exquisite - sometimes quite challenging - recipes to cook up a lovely meal together. We held our little get together last Saturday and both our husbands enjoyed the good food we put on the table! 3. Being able to leave the door to the patio open early in the morning till late in the afternoon. I can hear the children at the school playground, hear the birds whistle, ... breathe in some fresh air ... It makes my blood pump, makes me feel like I'm alive again! 5. Painted toenails and a pedicure. I'm ready for sandals and flip flops again, yaaay! Kim, over at Frogpondrock hosts this new meme called Sunday Selections and I decided to play along this week. "I take a lot of photos and most of them are just sitting around in folders on my desktop not doing anything. I thought that a dedicated post once a week would be a good way to share some of these photos that otherwise wouldn’t be seen by anyone other than me. I am also remarkably absent minded and I put photos into folders and think that I will publish them later on and then then I never do. So I have started a photo meme that anyone can join in and play as well. The rules are so simple as to be virtually non existent. Just add your name and URL to the Mr Linky. 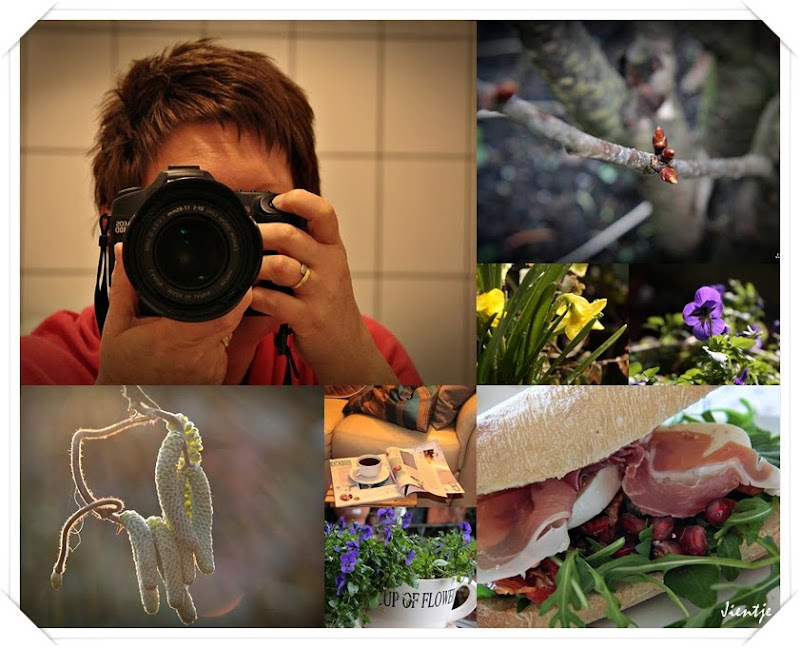 Publish your photos on your blog using the “Sunday Selection” title. Link back here to me. The first signs of Spring always make me want to grab my camera and shoot a lot of pictures. Suddenly my patio is an interesting playground again! I haven't been blogging as much as I used to before and these photos could easily get lost in my archives. I don't want to let this happen, that's why I'm playing along this week. I hope you enjoy this Sunday Selection. 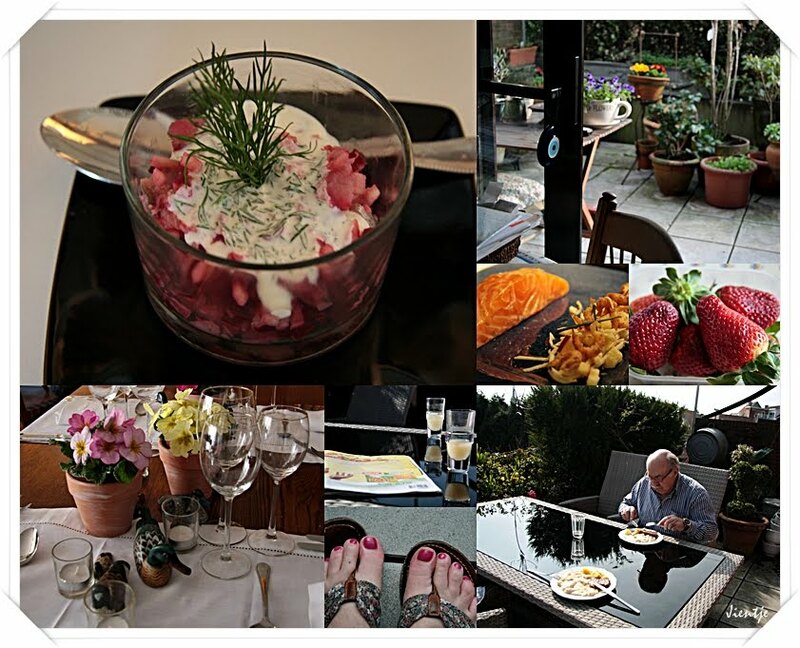 Another week has passed and it's time to join Susanne's Friday's Fave Five and share some of its highlights. 1. My new look. I wanted a new hair style, so I went to a different salon and not only got a haircut but also had my hair colored. My new hairdresser did a great job, I just love it ! 2. I got together with my friend Annie to choose some new recipes for next week's cooking session. 3. On Sunday I visited my parents and we made a little trip to the coast. The nice weather had brought loads of people about and it was hard to find a space to have coffee, but we did! 4. Snuggle up on the couch with my favorite magazine. A little bit of "me" time that I love! 5. A sandwich I made with Parma ham, sundried tomatoes, mozzarella cheese and pomegranate seeds. It was delicious! Friday's Fave Five, Almost Spring. 1. Usually I meet up with my friend Nana at least once a month but this past week has been special because we we saw each other twice! We went shopping at Ikea last Friday and we spent a day as tourists in our own town on Wednesday. 2. We're both real coffee lovers and this one was a special treat. We ordered a "surprise coffee" and we got our coffee with four chocolates and a small glass of Elixir d'Anvers liqueur. Elixir d'Anvers is an old fashioned Antwerp liqueur still made today with the same ingredients from the original recipe from 1863. 3. Spring is just around the corner and nature is coming back to life again. These little pink dots are the female flowers of my Hazel shrub. They are so easily overlooked because we tend to only notice the catkins. I had never noticed them up until now! 4. The herbs in my herb garden are starting to grow again too. This is tarragon. It won't be long now before I can make a delicious Béarnaise sauce with it! 5. We've had a lovely week with lots of sunshine. Sunshine always makes me grab my camera, trying to capture that beautiful golden light. I think I managed quite well in this picture, didn't I?